Credelio is a small, tasty2 chewable tablet approved for puppies and dogs eight weeks of age and older and 4.4 pounds and greater. Credelio protects against ticks of common concern across the U.S.: lone star tick (Amblyomma americanum), American dog tick (Dermacentor variabilis), black-legged tick (Ixodes scapularis) and brown dog tick (Rhipicephalus sanguineus), as well as fleas (Ctenocephalides felis). In a field study, 100 percent of Credelio tablets were administered successfully and dogs accepted 94 percent of them when offered by hand, in an empty bowl, or with food.2 Credelio is also well accepted by a broad range of dog breeds, including toy dogs such as Chihuahuas and Yorkshire terriers.2-5 Further, Credelio offers the reassurance of a product that is suitable for puppies as young as eight weeks of age. As a global leader in the animal health industry, Elanco supports veterinarians with a wide range of parasiticide solutions. “The introduction of Credelio expands our portfolio even further with a once-a-month, oral tick and flea product that supports Elanco’s commitment to helping pets live longer, healthier, higher-quality lives,” said Cathy Martin, Director of U.S. Companion Animal Marketing. 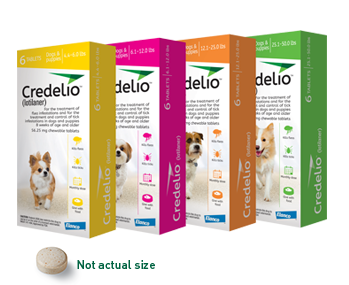 Credelio will be available in four tablet strengths for dogs and is approved for puppies and dogs from eight weeks of age and older and 4.4 pounds and greater. The safe use of Credelio in breeding, pregnant, or lactating dogs has not been evaluated. 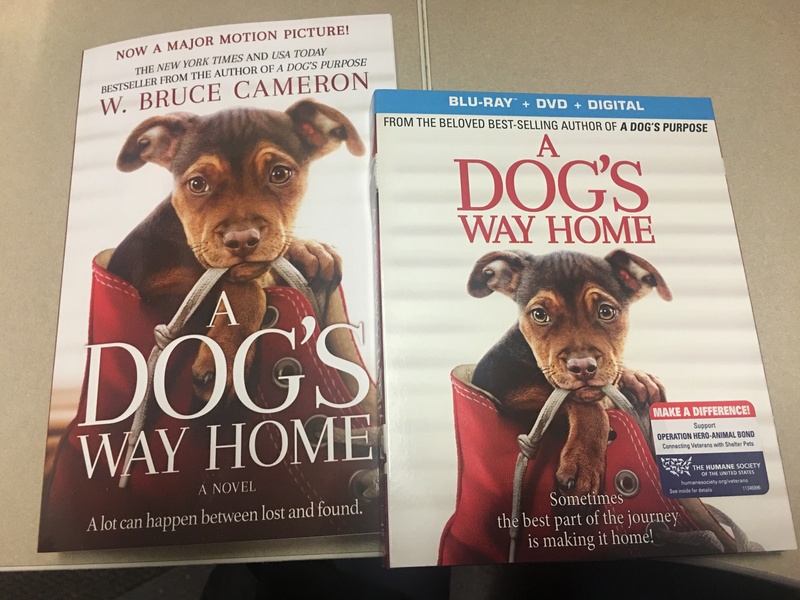 Use with caution in dogs with a history of seizures. The most frequently reported adverse reactions are weight loss, elevated blood urea nitrogen, excessive urination, and diarrhea. See package insert for full safety information. 1Rufener, L. et al. 2017. “The novel isoxazoline ectoparasiticide lotilaner (Credelio®): a noncompetitive antagonist specific to invertebrates γ-aminobutyric acid-gated chloride channels (GABACls).” Parasites & Vectors. 10:530. 2Karadzovska, D. et al. 2017. “A randomized, controlled field study to assess the efficacy and safety of lotilaner flavored chewable tablets (Credelio®) in eliminating fleas in client-owned dogs in the USA.” Parasites & Vectors. 10:528. 3Cavalleri, D. et al. 2017. “A randomized, blinded, controlled field study to assess the efficacy and safety of lotilaner tablets (Credelio®) in controlling fleas in client-owned dogs in European countries.” Parasites & Vectors. 10:526. 4Cavalleri, D. et al. 2017. “A randomized, controlled study to assess the efficacy and safety of lotilaner (Credelio®) in controlling ticks in client-owned dogs in Europe.” Parasites & Vectors. 10:531. 6Cavalleri, D. et al. 2017. “Assessment of the speed of flea kill of lotilaner (Credelio®) throughout the month following oral administration to dogs.” Parasites & Vectors. 10:529. 7Murphy, M. et al. 2017. “Laboratory evaluation of the speed of kill of lotilaner (Credelio®) against Ixodes ricinus ticks on dogs.” Parasites and Vectors. 10:541. 8Toutain C. et al. 2017. “The intravenous and oral pharmacokinetics of lotilaner in dogs.” Parasites & Vectors. 10:522.